You're never too old for LEGO® and the Ninjago® Rooms feature lots of added extras including 10 LEGO® figures to find around your room, LEGO building area and lots of themed surprises. 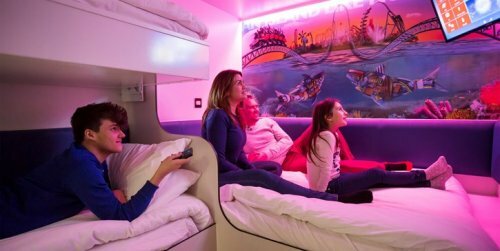 Inside of the LEGOLAND® Hotel there's lots going on and guests can enjoy evening entertainment, access to the LEGO® Pirate Splash Pool and Brick restaurant. Hotel guests are granted 30 minutes early access to the certain areas of the park if booked as part of a package. You can find out more and book here. 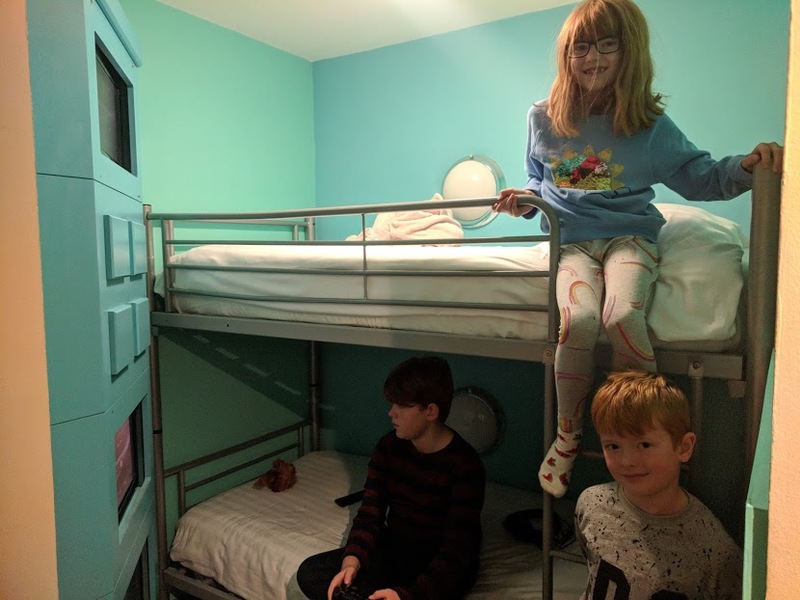 The Sleepover Room is perfect for girly get-togethers and features a make-up area, bean bag seating, fridges stocked with drinks and snacks, a games console and jet shower. This room would make a wonderful treat for a special birthday party I think. 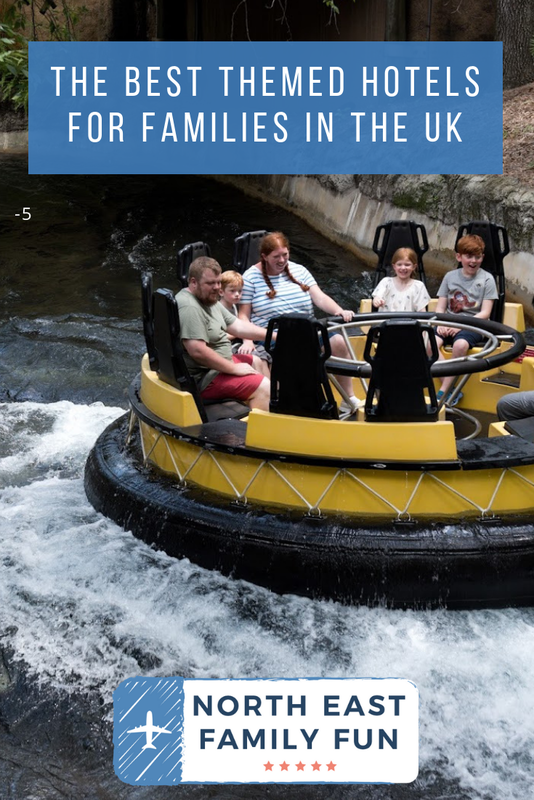 Situated inside of the Alton Towers Hotel and sleeping up to 6, the room can be booked as part of a package deal to include theme park entry. Find out more here. The Penguins of Madagascar Safari Rooms Sleep up to 5 and include lots of fab benefits for the whole family. 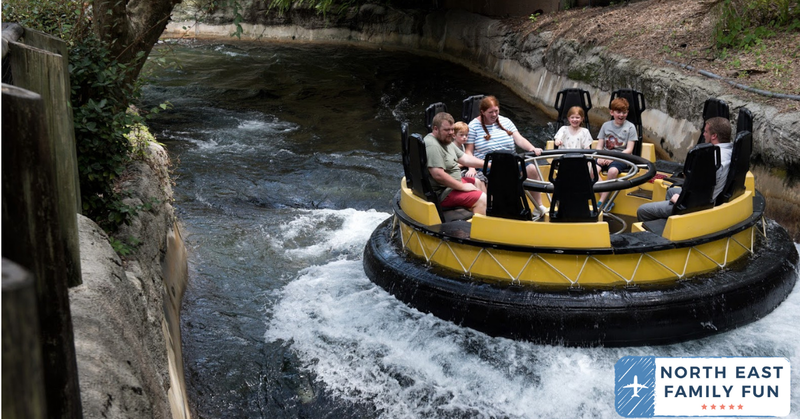 Extras include a separate kids area with X Box, early ride time and fast track tickets for selected rides, access to the Savannah Splash Pool and Spa, designated VIP parking, an in-room trail, Smart TV with themed movies and more. 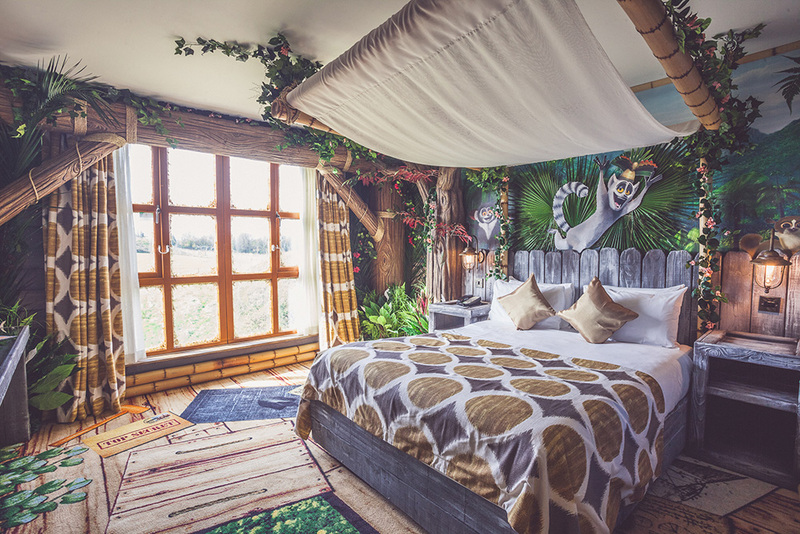 Guests staying at the Safari Hotel can enjoy complimentary evening access to Wanyama Village and Amazu during selected evenings (check website for details) where you can see the giraffe, antelope and meerkats before they go to bed and then enjoy the challenges of the treetop walkway. 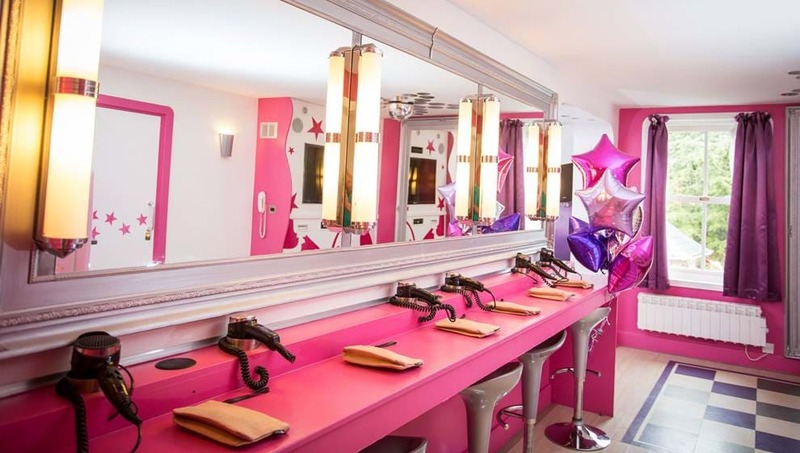 If you're looking for a hotel suite with lots going on for tweens, this has to be it. Find out more and book here. If your kids love Knights and all things Medieval (as mine do), they'll love staying in their very one Knight's Lodge inside of Warwick Castle. Lodges are themed and sleep 5/7. They come with free WiFi too. 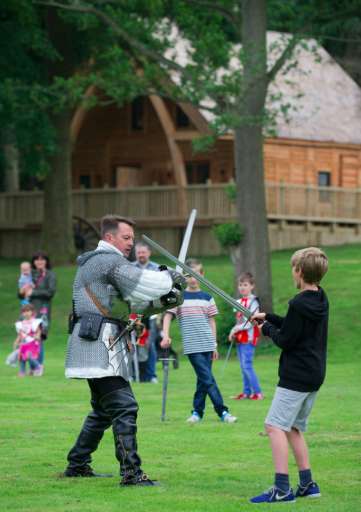 Lodge breaks include breakfast in the medieval banquet hall and you can access lots of evening entertainment including have-a-go archery, Jester's school, Knight's school, Medieval banquets, Birds of Prey Experiences and more (some experiences are chargeable). Find out more and book here. I know that Jack especially would love to stay in the Shark Hotel at Thorpe Park. Guest benefits include unlimited fast track until 11am on your second day (perfect for thrill seekers), unlimited free WiFi and an interactive TV with Apps (including an Angry Birds Game). Rooms are super compact but come with nautical theming, mood lighting and views of the lake. Find out more and book here. The only non-Merlin hotel to make my list. You may remember we stayed at this hotel over October Half Term and rated it very highly. 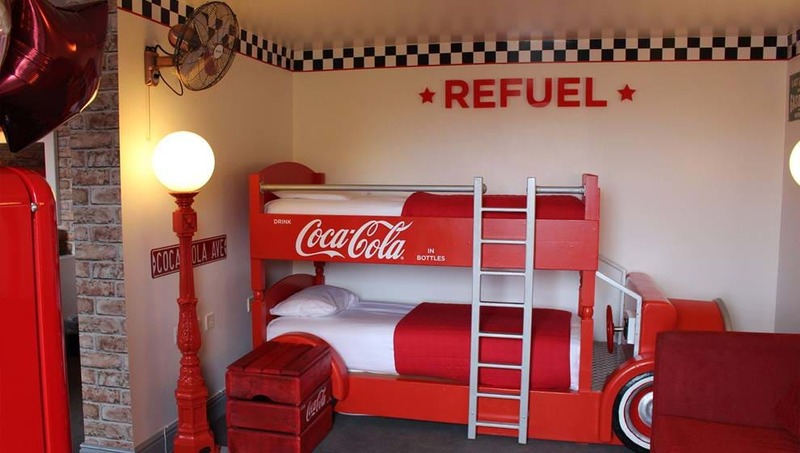 Spacious rooms sleep up to 5 and feature huge TVs, XBox's and games and many have views of the pleasure beach. You're also granted fast-track entry via a VIP entrance straight to the park from the hotel if your package includes tickets. Breakfast was really good too. Find out more and book here. Let me know if you have any recommendations or if any of these rooms take your fancy.